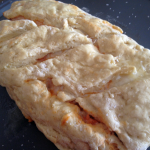 Indian cuisine – Get Cooking! Over the years, as a food blogger, I’ve had the opportunity to review many wonderful cookbooks. The fact that I collect cookbooks has made this opportunity even sweeter, as every collector worth their salt LOVES nothing more than adding to their collection. Although I’ve collected cookbooks since I first cracked an egg, my newest cookbook (Spices & Seasons: Simple, Sustainable Indian Flavors ) is quite unlike any other in my collection. This is the first Indian Cuisine cookbook I’ve ever owned. It’s not that I don’t love Indian food – far, far from it! I’ve just been intimidated by this exotic cuisine, assuming the various flavors must call for spices I’d have to fly across country to find. A fear of heights (and, thereby, flying) rules that out, so I simply allowed any Indian food I enjoyed to take place in restaurants. I don’t have to do that anymore! In her beautiful cookbook, Rinku Bhattacharya has proven that you CAN create delicious, fresh, fantastic, and memorable Indian flavors in your own kitchen. What’s more the recipes are as fun and exciting to create as the food is to eat. I think that’s why I’m extra excited about this particular cookbook – it introduces new flavors and techniques to even the most veteran foodies. 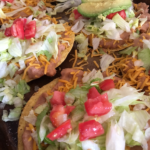 Take it from me, my kitchen experiences a lot of cooking – to the tune of DAILY – so it’s accustomed to a wide variety of aromas and flavors and combinations of aromas and flavors. But each time I make a recipe from Spices & Seasons: Simple, Sustainable Indian Flavors, my kitchen and I experience something new and beautiful. Do I even have to tell you how exciting that is?! 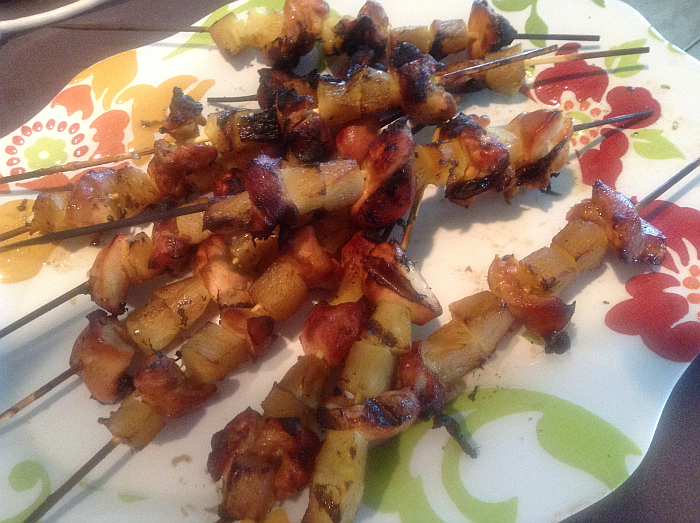 The first recipe I made from this beautiful cookbook was the Pineapple and Citrus Chicken Wing Kebabs (page 23) – pictured above. I didn’t have any drumettes on hand, so I just cut up the chicken I did have. I can’t wait to try it with drumettes, though. My chicken was also skinless, and I’m anxious to try this recipe WITH skin. It was absolutely delicious, though. The cilantro, ginger, turmeric, and pineapple made beautiful music together and my taste buds danced on and on. While cooking has never been boring to me, it can sometimes become commonplace. Let’s see, let me mash the potatoes before I take the chicken out of the oven.. 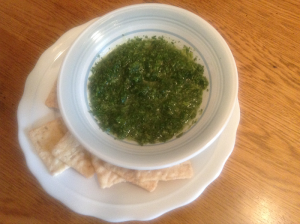 When I made the Classic Mint Chutney, it occurred to me that I’d NEVER made a chutney before. As soon as I made (and tasted) it, though, I was automatically calculating the next time I’d be doing so. The flavors were so exquisite and unique – my family and I couldn’t stop talking about it. In fact, each recipe I’ve made from Spices & Seasons has been a huge hit in our home – one that we enjoy seeing, eating, and talking about. Even recipes that I have made countless times are given a fresh new twist – like Stir-Fried Asparagus, for example. Asparagus is my husband’s favorite vegetable, so suffice to say I’ve cooked more asparagus that you could ever hope to count. It just now occurred to me that if I had all the money I”ve spent on asparagus over the years, I could buy my husband a boat. I had never made asparagus with ginger, though, and it honestly woke up flavors I never knew existed in asparagus. That’s part of the beauty about Rinku Bhattacharya (click the link for the author’s blog) recipes – they allow you to experience cooking AND food in a fresh new way. It isn’t an overstatement to say that your love of cooking will be reawakened. 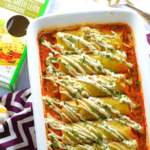 You’ll find yourself inhaling the exotic new aromas that fill your kitchen and feel a special kind of pride when your family raves and raves about the exotic flavors you created. Best of all, the recipes are simple and easy to follow. And you don’t have to hop a flight to India for the spices and seasons. MANY spice blends, Indian Relish, marinades, and rubs. And a lot more recipes that’ll knock your socks off… maybe I should say they’ll knock your apron off. Rinku Bhattacharya is a native of Kolkata, India, currently living in a house with a vibrant backyard in Hudson Valley, New York with her husband and two young children. Rinku s practical, sustainable approach to Indian cooking, is showcased on her blog, Cooking in Westchester, and her Journal News column Spices and Seasons. Rinku has been teaching recreational cooking classes for the past nine years and also partners with the local, Down Home Markets to offer seasonal Indian cooking demos. She is author of The Bengali Five Spice Chronicles (Hippocrene Books, 2012). Rinku has also written for the Poughkeepsie Journaland several online sites, and appeared on CT Style television a few times. This beautiful cookbook (such gorgeous photographs!) includes more than 150 wonderful recipes you’ll use again and again. As someone who has to now strictly follow particular dietary guidelines (gluten free), I strongly appreciate the fact that many vegetarian and gluten free options are included. Recipes are marked GF and V, which I think is particularly thoughtful and helpful. 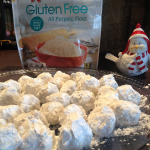 A reminder, however – when a recipe is marked GF, always check out the individual products you choose. For example, if soy sauce is listed as an ingredient, if you don’t buy gluten free soy sauce (Tamari Soy Sauce), your recipe will not be GF. In addition to gorgeous photographs and off-the-charts delicious recipes, I also enjoy the author’s many tips and her priceless advice. Her warm personality and passion for Indian cuisine come shining through and you feel as though she’s right there beside you. Her energy and passion are palpable. I just wish I could get a copy of this wonderful cookbook in everyone’s hands. The recipes are fun and exciting to create and the food is flavorful, delicious, and exciting to eat. That’s a lot of excitement waiting to be had! Point you to Spices & Seasons: Simple, Sustainable Indian Flavors on Amazon. This is one cookbook you’ll want to add to your collection right away. I just can’t say enough good things about it. The publisher has given me the green light to give one copy away to one lucky reader. Simply leave a comment below – that’s all you have to do! I’ll write the names on pieces of paper, fold them up, and will have a member of my family pick one at random. The publisher will then send the lucky individual their own copy. Simple as that. I’ll announce the winner in the comments below this weekend. Good luck! The giveaway has expired (congrats to the winner! ), but this beautiful cookbook is available on Amazon… so be sure to grab your copy right away. I’ve always loved listening to the radio while driving – ever since my parents reluctantly allowed me to start driving at 17, simply because they didn’t think they could put off the inevitable any longer. Music had always been something I enjoyed a lot. A few years back, though, I decided there was nothing for me on today’s radio, so I stopped even bothering to turn it on. Then Adele hit the scene and made me excited about music again. She was fresh, exciting, and delightfully different from everything else. I often think about world cuisines along the same sort of lines. If we were to eat the same things over and over and over again, our culinary lives would become just as stale, uneventful, unexciting, and bland as music had become pre-Adele. Mixing things up for your family, as well as your own taste buds is a deliciously smart thing to do. I home schooled our daughters all the way through school and when they were growing up, I’d incorporate whatever region we were studying into our family meals. Hmm, I guesss that’s why they were extra excited whenever we studied Italy. It wasn’t my lessons, it was my food! I still love to incorporate as many “tastes of the world” into our meals as possible and Indian food has become a new obsession. When you try different cuisines, you discover a whole new world of flavors and tastes and when it comes to Indian food, it’s an uncommonly beautiful experience. Over the next few weeks, I’ll be telling you more about a new cookbook that’s making my quest for fresh and exciting recipes and meals as easy as it gets. The book is Spices & Seasons: Simple, Sustainable Indian Flavors by Rinku Bhattacharya. I’ll share a few recipes with you from the book and you’ll soon see that this is a cookbook you simply must get your hands on. I can be so ridiculous like that. In the end, good common sense won out and I left the recipe as it was intended to be prepared, and it knocked my socks off. The flavors are so intense, fresh, unique, and delicious. Trust me, you don’t want to replace the mint in this recipe – this is a perfect 10 recipe and I can’t wait to make it again. I ate mine (of course) with Gluten Free Rice Crackers (Nabisco’s Gluten Free Rice Thins are won-der-ful) but I provided flat bread for everyone else. 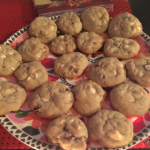 Everyone loved it and they, too, can’t wait for me to make it again! 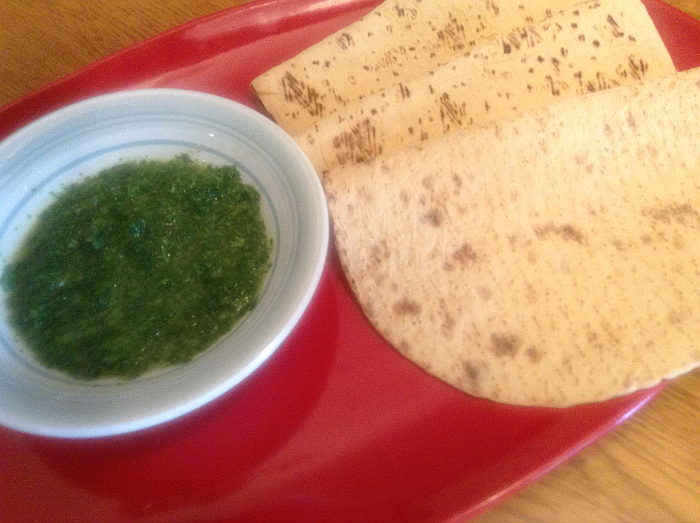 Green mint chutney is a classic, popular staple, omnipresent next to snacks, particularly in the summer months. 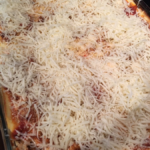 This recipe is a very simple free-form variation of the classic recipe. There are other creative variations using tomatoes, green mangoes, and the works, so I encourage you to create and innovate to suit your fancy. Mint by itself in this recipe can have a bitter aftertaste, so it is tempered with cilantro. You can mix and match other herbs as desired. This chutney can be used as a condiment or sandwich spread, or can be added to sauces. Place the cilantro, mint, green Serrano chilies, cumin powder, salt, black salt, sugar, oil, and lime juice in the bowl of a blender. Grind mixture until smooth. This chutney will keep for 3 to 4 days in the refrigerator, but the color will darken due to the lime. 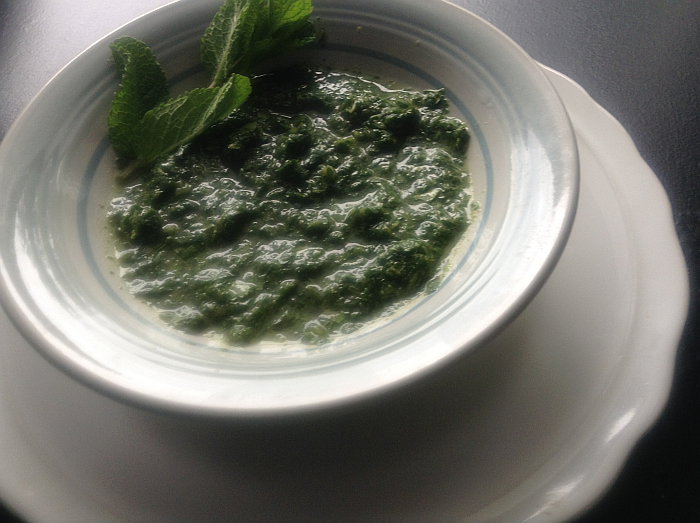 It is important to ensure that the mint leaves used for this chutney are tender or they tend to add a bitter taste to this condiment. This chutney can be mellowed by adding 11⁄2 tablespoons of yogurt or coconut milk as a vegan option. If adding yogurt you can skip the lime juice. Another variation is to add some blanched peanuts or almonds. 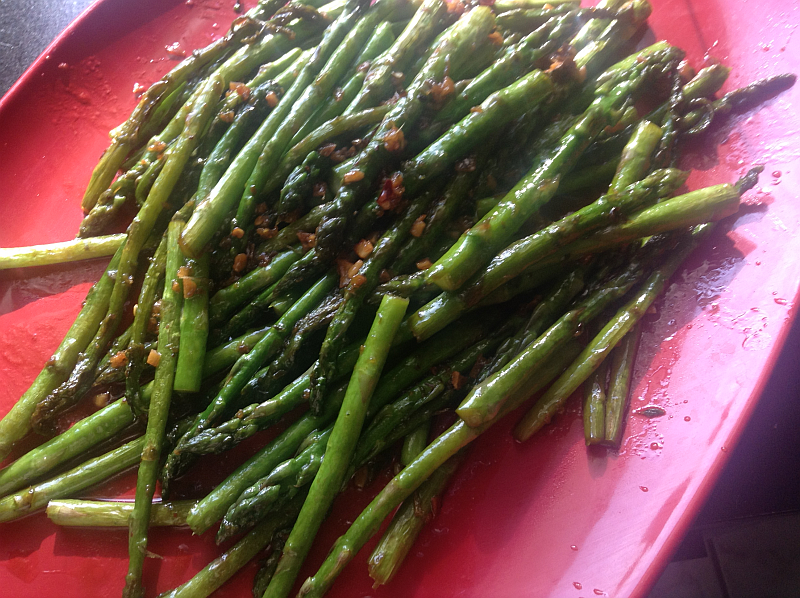 I’ve now added another favorite recipe from Spices & Seasons: Stir-Fried Asparagus With Garlic and Sesame Seeds. Click the link to take a look. Read my Spices & Seasons Cookbook Review!